Incredibles 2 (film, 2018). A 2018 American computer-animated superhero film with "PG" rating by Walt Disney Studios Motion Pictures. Directed by Brad Bird. Official Trailer. 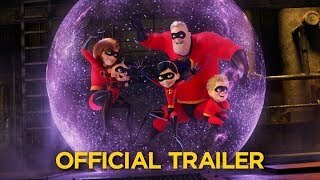 Incredibles 2 is a 2018 American computer-animated superhero film directed by Brad Bird. Following the events of the first film, the Incredibles and Frozone battle the Underminer, who has just appeared to terrorize Metroville. Though they prevent the destruction of City Hall, they are unable to stop him from robbing a bank and escaping. The collateral damage caused by the incident outrages the government and prompts them to shut down the Superhero Relocation Program, leaving the Parrs without financial assistance. Violet's love interest Tony Rydinger also discovers her superhero identity, forcing agent Rick Dicker to erase his memory. Lucius informs Mr. Incredible and Elastigirl of an offer from Winston Deavor, a wealthy businessman. He and his sister Evelyn propose sending the heroes on secret missions which will be recorded and publicized to regain public trust in superheroes. Due to Mr. Incredible's tendency to accidentally cause collateral damage, Winston chooses Elastigirl for the initial missions. While Elastigirl is away, Mr. 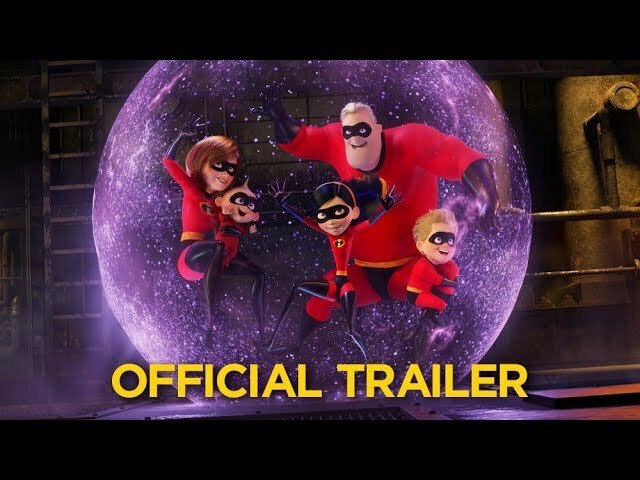 Incredible struggles with his new role as a stay-at-home parent: Dash has trouble with math homework, Violet becomes withdrawn after Tony unintentionally fails to show up at their date due to his memory wipe, and Jack-Jack wreaks havoc with his burgeoning superpowers. He brings Jack-Jack to Edna Mode, who develops a suit that controls his abilities, allowing him to relax from his parenting difficulties. Meanwhile, on her missions, Elastigirl encounters a mysterious supervillain called the Screenslaver, who projects hypnotic images using television screens. She tracks him down to his hideout in an apartment building, and unmasks him as a deliveryman with no recollection of his actions. The film Incredibles 2 was scheduled to be released by Walt Disney Studios Motion Pictures on June 5, 2018 (Los Angeles), on June 13, 2018 (Egypt), on June 14, 2018 (Argentina, Australia, Chile, Colombia, Greece, Indonesia, Israel, Cambodia, Lebanon, Mexico, New Zealand, Peru, Philippines, Russia, Saudi Arabia, Singapore, Ukraine, Uruguay, United Arab Emirates, Kuwait, Bahrain, Qatar, Oman, Jordan), on June 15, 2018 (United States, Bulgaria, Canada, Annecy International Animated Film Festival, Croatia, Sri Lanka, Nepal, Pakistan, Venezuela, Vietnam, South Africa), on June 17, 2018 (Paris), on June 20, 2018 (Iceland), on June 22, 2018 (People's Republic of China), on June 27, 2018 (Belgium, Spain, Netherlands, Taiwan), on June 28, 2018 (Brazil, Portugal), on July 4, 2018 (France), on July 5, 2018 (Hungary), on July 13, 2018 (United Kingdom, Ireland, Poland), on July 19, 2018 (Hong Kong, South Korea), on July 27, 2018 (Romania), on August 1, 2018 (Japan), on August 2, 2018 (Slovakia), on August 3, 2018 (Estonia, Lithuania, Latvia), on August 24, 2018 (Norway), on August 30, 2018 (Denmark), on August 31, 2018 (Sweden), on September 19, 2018 (Italy), on September 27, 2018 (Germany) and on September 28, 2018 (Turkey). The duration of the film is 118 minutes. With a budget of $200 million, the film grossed over $1.243 billion. Incredibles 2 got high rating from critics. The audience also likes the film. Audiences polled by CinemaScore gave the film an average grade of "A+" on a scale ranging from A+ to F.